This is the character status screen. At this moment it’s pretty clean and functional. 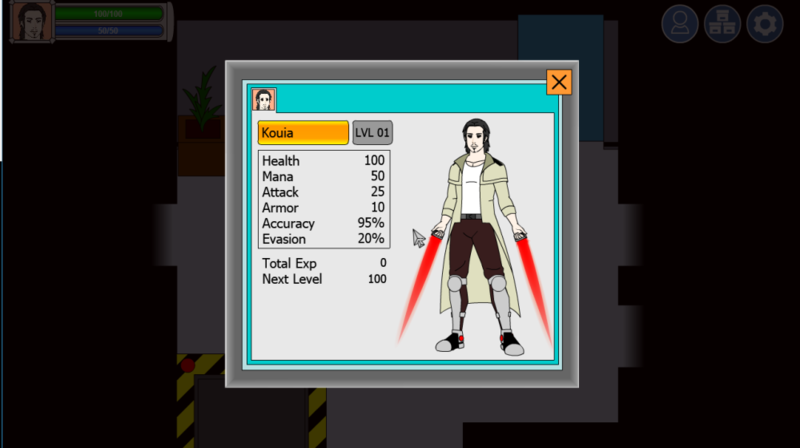 In the future you will be able to equip / unequip skills and see other playable character stats. I’m glad to announce all programming on RC Episode 2 is done. Me and pinoy are in testing phase, there might be some fixes (There was a lot of new stuff), but launch window in the next few days is very possible! Thanks for all of your support. ;). Stay tuned.